It’s very dirty and stinks of corruption at the highest level. With a brand-new year, many people hope for new begins, renewed efforts and invigoration be it in their personal or business endeavours. But for those seeking justice in the Zambia judiciary, it is darkest. The Zambian judiciary has never been held at such low esteem and viewed with so much scepticism and contempt by the public like right now. Thanks to chief justice Irene Mambilima and her team at the Supreme Court, the judiciary today ranks at the very bottom of public respect. We have never witnessed such judicial corruption, abuse and dictatorship like we have witnessed under Mambilima. In the past, people sympathised with judges even when they made ridiculous judgments as everyone knew they were doing so under political interreference. But what we have seen under Mambilima is judicial corruption and dictatorship by judges for and on behalf of themselves. Under the guise of judicial independence, judges have amassed too much power which they are now abusing to mask corruption. It should come to an end. It has been ended it in other countries. Corrupt and insolent judges are even more dangerous than thieving politicians because judges deal with life and death every day. We have in mind one of the biggest scandals of 2018 where Court of Appeal and Supreme Court judges were bribed by Stanbic bank to overturn a High Court judgement that required the Bank to compensate Savenda management Services for maliciously listing it as a bad debtor when in fact not. That case has seen some individuals flee into exile while others are in jail but has made judges stinking rich. The Savenda v Stanbic bank scandal has for the first time given the public a glimpse into the dirty deals and corruption going on in chambers. That case has given members of the public an idea of what type of monsters we have for judges and what they can do when called to account. That case has left a permanent scar on the conscious of the judiciary which shall not be wished away or erased by jailing whistle blowers. As everyone knows, the allegations of corruption in the way the judges of the Court of Appeal and Supreme Court handled the Savenda v Stanbic case have not been addressed. Towards the end of 2018, the country was treated to a dangerous circus of jailing activists and journalists using the most ridiculous charges. In their quest to hide their wrong doing, the Supreme Court judges were more than willing to set aside one of the most cherished and fundamental rules of justice that an accused person should be subjected to a fair trial. At an irreducible minimum, a fair trial must have an accused person, an impartial judge, an accuser (prosecutor) and a witness. These should be different persons. But not under Irene Mambilima. Under Mambilima and Mwanamwambwa, we saw Derick Sinjela standing as an accused person, his accusers were the Supreme court Judges, the prosecutors were the Supreme court judges, the witnesses were the same Supreme Court judges. Even Satan would disown such evil set up. The Devil himself can’t be associated with such injustice. And to think that Sinjela is in prison because of such a ‘court’ is sickening but somehow gives hope that the fight for justice must continue. Like we have already said, the jailing of Sinjela and Gregory Chifire does not address the corruption in the judiciary. It raises them even higher. People want to know what has led to one of their journalists been imprisoned. What was he talking about that made the judges so angry that they could send him to jail using a kangaroo court. The judges have something to hide for sure. Otherwise why are they so determined to suffocate anyone who asks questions? Why are they so angry at simple questions? Why are they changing the law? 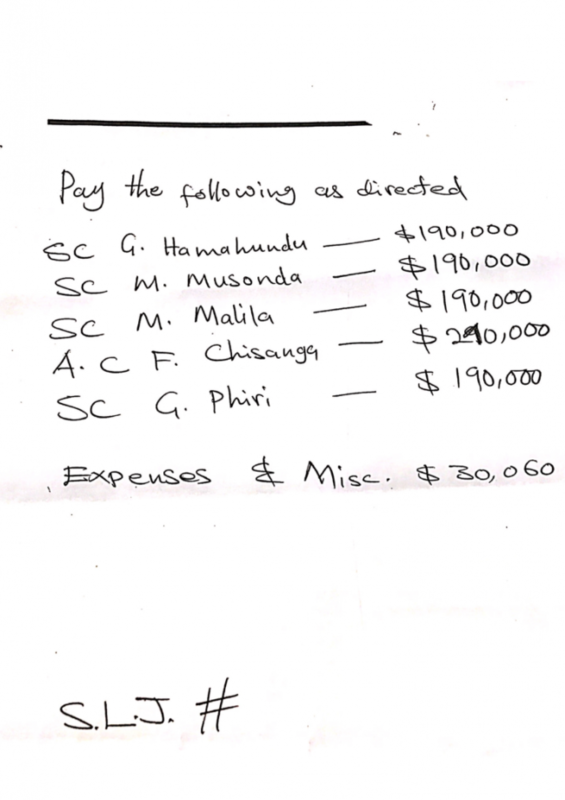 Chifire simply reminded them that there are allegations of corruption in the judiciary. He did not assert corruption; he pointed at allegations of corruption and asked the Chief justice to investigate the allegations of corruption in the judiciary. Is that a reason to jail him for six years? It simply means that the judges are guilty. They know very well that if a serious probe is conducted, the dirty would come out. Not only in the Savenda v Stanbic cases but also in similar cases that were settled not on merit but on Dollars. Why are the judges against any hint of a probe into their conduct especially in this particular case? 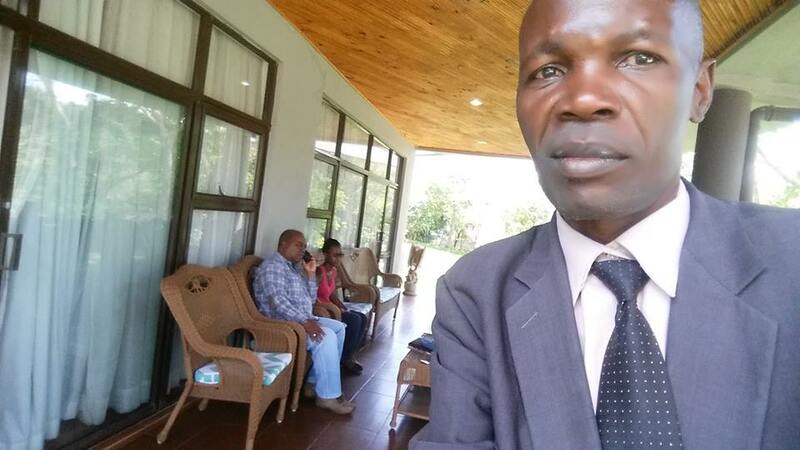 The judges might have jailed Sinjela and Chifire and will probably jail Bishop Mambo, but that will not stop public perception that that there is corruption in the judiciary. In the present case of Savenda Management Services v Stanbic Bank, there is only one way to go. A tribunal must be set up as a matter of urgency. If judges are clean, they have nothing to fear. To say that a tribunal will inconvenience innocent people is not even an argument. It is a lame excuse. It’s like saying that no one should ever be arrested because innocent people will be inconvenienced. Tribunals, like trials, are set up to find out the truth. In this case, Judges should welcome and actually be in the forefront calling for one to clear their names for once and all, if they have nothing to hide. As long as judges continue opposing and resisting the setting up of a tribunal, members of the public will be in order to point accusing fingers of corruption at judges. As things stand, the judges are on trial in the public court. They may pretend and hide behind judicial independence hogwash and contempt of court charges, buy they actually know what the people think. Like one USA judge said, the judiciary is, in at least some measure, dependent on the public’s fundamental acceptance of its legitimacy. And when a large segment of the population believes that judges are not deciding cases according to the Rule of Law, much is at stake. This is true today in Zambia. Under Mambilima, very few people believe that judges decide cases according to the rule of law, or any law at all. It appears that judges decide cases according to the exchange rate compiled by Stanbic Bank.